This entry was posted in Butterick, Contests, Dresses, Fitting, Sewing, TNT's. Bookmark the permalink. I’m sorry your silk dress didn’t make it 😦 There’s always next year – and maybe you will be able to go and model your garment that time! Thanks for sharing your thought process on the fitting – I also have Nancy’s book but haven’t used it much as it didn’t address my main fitting issue – being short from shoulder to bust. There are mixed reviews on it, but I personally found Sandra Betzina’s book to be very helpful – “Fast Fit – Easy Pattern Alterations for Every Figure”. E – Sorry your dress didn’t mae the cut for the contest at PR. I too am guilty of having so many reference books (including Nancy Zieman’s Pattern Fitting With Confidence) and not having read them. I tend to read through them when I hit a wall :o). You can finish the dress for the wedding. You have plenty of time. I cannot wait to see the dress. Silk twill dress for the date! Good luck on the date! Good for you for figuring out the alterations on your own! 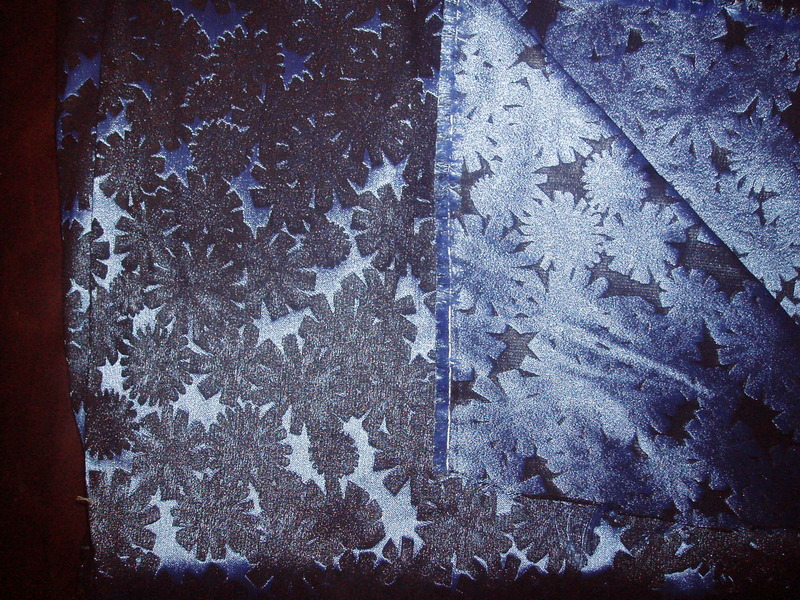 I second the silk twill dress for the date, hope it goes well! There’s always next time for the PR contest! Good for you for entering. 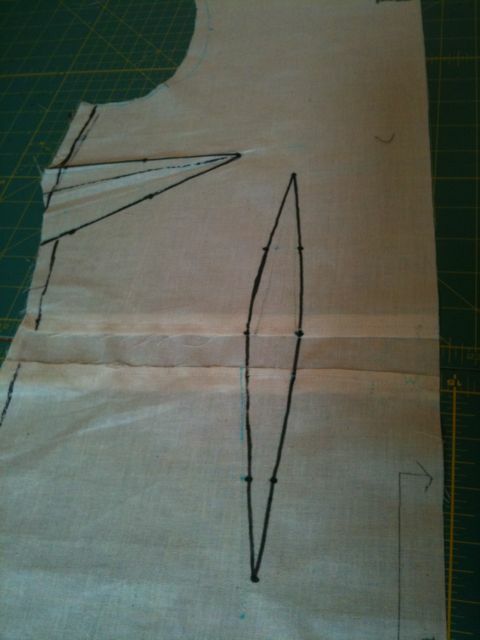 Fabulous sleuthing work for figuring out your fitting issues and how to correct that darn pattern. It’s going to be a knockout, and I’m confident that you’ll get it done before the wedding. Go-go-Gadget! Hey – and people think that landing a man on the moon is tricky to calculate – that’s nothing to what us sewists have to work out in order to make a few dress alterations!!! 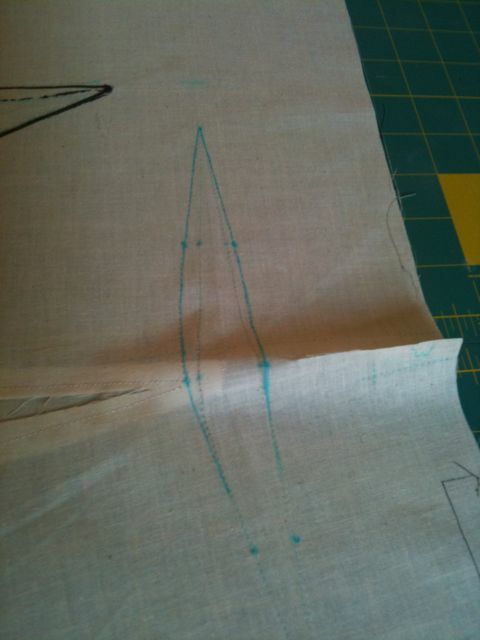 Sounds like this dress is coming along very nicely – it’s going to be gorgeous. Good for you for figuring out what you needed to to – those fitting books make no sense to just read, but are brilliant when you hit a real life pattern problem. I’m sure you will get your dress done in time. Whatever you wore for tonights date wear the other outfit for date #2!! Great progress! Nancy and I are also best friends! I use the same fitting book for all of my sewing and I love the results! Good luck with your dress, I’m sure it will be beautiful! Oh dear, I’m having flashbacks to my nailbiter of a finish for a silk gown I started making a whooping 12 days before the event for which is was required. BUT! I finished it, it was fabulous and I know you can do it too! Go Elizabeth Go!